Perfect for furniture, appliances, tires, etc. - we do the heavy lifting for you! Prices starting at $50 per cubic yard. Call us! Weekly scheduled commercial waste removal service for your Quad Cities business. Dumpster rental in Moline, Illinois has never been easier thanks to Dumpster Rental Quad Cities and their helpful office staff. Even if you’ve never rented a roll off container, we’ll make the process simple and easy for you by taking it step by step and informing you of the details that you need to know was a customer. You might have found us on the world wide web as the majority of commerce is now web related in some way. The internet is s fine place to find vendors, but you’ll need to vet them just as you would and contractor. If you have friends or neighbors who have rented a dumpster before, you might want to ask them about what waste management company they used and what they thought of that experience. References by the folks who you trust are golden when selection a waste contractor. You might also check with the local Better Business Bureau or do a statewide court search on the folks who you plan to entrust with your waste removal service in the Moline, Il. Haul Rate, is the charge waste companies charge for each time they bring/deliver an empty dumpster. It’s usually a pretty hefty charge, so you’ll want to minimize the number of haul rates that you’re charged by getting the right size dumpster. 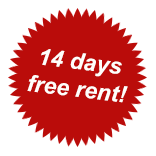 Daily Rental Fee, is the charge incurred for keeping a trash container for an extended period of time. Planning the schedule of your waste arisings, may help to minimize this charge. And don’t forget to call the local garbage company to let them know when you’re finished with the rented waste equipment- You don’t want to pay rental fees for time that you didn’t need the trash bin. So those are some common fees charged by local waste management firms, but there are some fees such as environmental fees, equipment maintenance, admin charges, fuel surcharges that are also charged by some garbage collection firms. The point is that, as a customer, you need to inquire about, and understand the fees to avoid exceeding your budget. 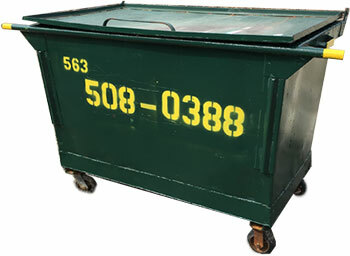 A reliable waste services business should have no problem giving you a free quote over the phone for roll off service. If they need to call you back when you ask them for a price, then maybe you’re not conversing with a local garbage collection company, but rather an internet waste broker. Be careful of these brokers- They’re middle men who charge inflated prices for subcontracted service. You should ask your garbage company how long they’ve been in business. Established garbage companies have been around a long time for a reason. Maybe they’ve taken care of their customers over the years and have been rewarded with customer loyalty because of their reliable service. 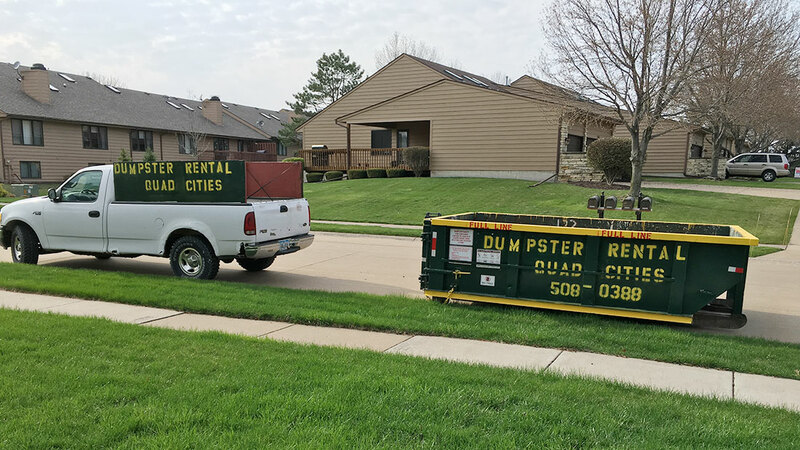 Dumpster Rental has been in business in the Quad City area for many years and during that time we’ve delivered nearly 30,000 dumpsters to our valued customers. Maybe you have a friend, neighbor, or local Quad City business directory in the Moline, Illinois area who has rented a dumpster and could give you some tips or advice. Sometimes advice from a friend is far better than reading internet reviews of local business’. Regardless of whether you’ve never rented a trash container or have rented many of them, we suggest you research the companies who you intend to rent from to avoid hooking up with a firm who gives poor service. Determine how much waste you’ll be needing to toss in your container. Roll offs are sized in cubic yards, so you’ll need to keep this in mind when figuring out the volume of your waste and when talking tom your local waste hauler. A cubic yard is three feet, by three feet, by three feet. To give you some idea of what a cubic yard is, a pickup truck with a 6 foot bed can hold about two cubic yards, so a twenty yard container is roughly equal to ten pickup trucks level full of waste. Dimensions of all our bins are given on this web page so I won’t get into the specific measurements, but we would encourage you to view them. Know what types of waste material you intend to toss out. This will be asked of you when you order a dumpster from the local garbage collection company. Appliances, tires, electronic waste, hazardous waste, etc can not be placed in a rented container as those items/materials are not accepted at area landfills. Contact the local dumpster rental company in Moline, Illinois to find out specific information about their services and rates. You might want to contact a few of them just to do a value for money comparison. Place order for equipment after deciding which date you need bin delivered. You might want to have your bin delivered a day early so that it’s there when you and your helpers want to start filling it. Take delivery of your metal roll off container, safely fill it, and call the garbage company when you need it dumped and returned or dumped and not returned. Not enough volume of waste to fill a big roll off. Not enough space at their location to place a container. Customer doesn’t have a wide enough driveway to place dumpster without impeding their ability to get in or out of their garage. Customer doesn’t want to load their own waste and would prefer paying others to do the heavy lifting. Regardless of your specific reasons for needing junk removal in the Moline, Illinois area, we’re hopeful that you’ll call us. there’s no reason to contact a 1800 out of town junk company when you can get things done cheaper by a local firm. Waste management services in The Moline, Illinois area is provided by both the public and the private sector. Many of the larger municipalities in Quad Cities, Illinois and Quad Cities, Iowa collect their own residential waste and provide recycling programs for their citizens. Some of the smaller towns contract their weekly garbage collection to private waste companies. And most of the rural areas have private waste haulers collecting residential waste under subscription with rural residents. Commercial waste collection in Moline, Illinois is performed by the private sector. Both small local and nation-wide giant waste haulers vigorously compete for restaurants, office complexes, hospitals, gas stations, etc. Typically, these commercial businesses enter into contracts to have their containerized waste removed by front-loading or rear-loading waste collection vehicles. Roll off dumpster rental for both residential and commercial customers in Moline are provided by Dumpster Rental Quad Cities on both sides of the Mississippi River. There is a common misconception that most dumpsters are rented by industrial accounts or contractors. In actuality, most dumpsters are actually rented by residents doing small renovations, spring or fall clean ups, junk removal, etc. Recycling services in the Quad Cities are also both conducted by the private and public sectors. From curbside collection of residential recyclables to material processing centers, the Quad Cities has robust recycling activities. And finally sanitary landfills- Landfills in the Moline, Illinois area are plentiful with one publicly operated landfill on the Iowa side and two privately operated landfills on the Illinois side of the Quad Cities. Carefully investigate the reputation of a few local waste management companies to decide which might offer the best value for money dumpster rental in the quad City area. You can read some on-line reviews on Google, Yelp, YellowPages, etc to see what other say about their experiences, good or bad, with some of the companies. Sometimes just asking a friend or a relative who’s had a roll off delivered to their Quad City location about their project and waste contractor can be helpful. Decide which dumpster size is correct for your job. Waste bins come in several sizes, so it’s best if you figure out how much trash you’ll be tossing out and compare that amount to the various sizes offer by waste contractors in your area. Just a helpful hint- Roll off sizes are stated in cubic yards, so you’ll need to figure your volume accordingly when conversing with your local dumpster rental company. Call your preferred trash collector and set up a delivery of the bin to your location. We always suggest that you take delivery of your bin a day prior to the day you intend to start loading it. That way you’ll have your roll off when you and your crew is ready to start loading it. Safety is paramount when working on job sites and loading waste in a bin. Always wear protective gear such as safety glasses, long sleeves, gloves, steel toed boots, etc. And whey you’re finished with your project don’t forget to contact the garbage company to schedule a final pick up of your waste container- You don’t want to be paying daily rental charges because you forgot to call the dumpster in when you were finished with it! Construction Roll Offs- Who Uses Them? Residents renting roll off containers for bathroom remodels, spring clean ups, basement clean ups, junk removal jobs. Roofers ordering 10 and 20 yard sizes for asphalt shingle tear offs associated with re roofing homes and apartment complexes. Home builders ordering 20 yard sizes to discard wood, plastics, cardboard associated with new home construction and major home renovations. Commercial business using big 30 yard roll offs to discard unwanted or dated inventory, outdated displays, or just tidying up to present a more positive image for their customers. Commercial builders ordering large dumpsters in the Quad Cities for construction of new casinos, big box stores, hospital renovations, etc. Junk removal- I know I’ve mentioned this, but it happens all the time. 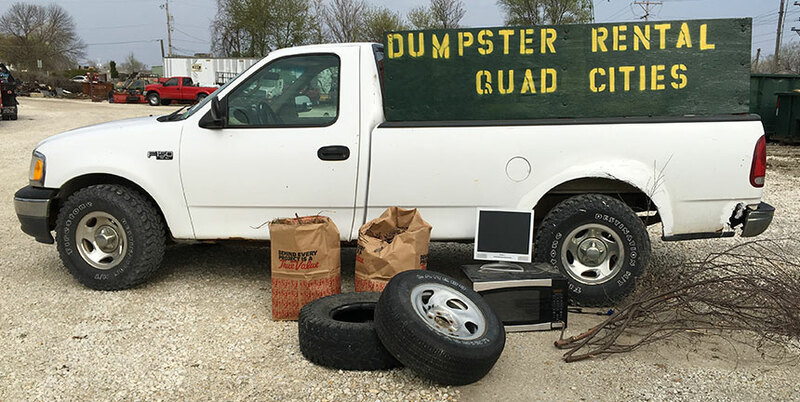 So wether you need dumpster rental or junk removal service for your Quad City location, Dumpster Rental Quad Cities wants to be a part of your waste removal project. Call us to see what we can do for you! Just a final word about Dumpster Rental Quad Cities and and our appreciation for our Quad Cities, Il and Quad Cities, Ia customers- We’ve been in business for many years and we’ve provided service for thousands of valued customers over the past 16 years or so. If you ordered a roll off container from us in the past, we appreciate your patronage. If you haven’t ordered a dumpster or junk removal service from us before and are planning to generate some waste on a future job, we’d love to hear from you. Copyright © 2019 Dumpster Rental Quad Cities. All rights reserved.